The Bahamas Locomotive Society is extremely grateful to the national lottery and thousands purchasers of national lottery tickets for their support with the project to overhaul 45596. Without their assistance the locomotive would not have become operational in the manner achieved. Whilst the majority of the overhaul was undertaken by Tyseley Locomotive Works some key elements of the work were undertaken on a voluntary basis by members of the Society at our base at Ingrow. We are now in a position to enable this unique steam locomotive to be seen in action by the general public in accordance with the ethos of the national lottery and the aims of the Society. Whilst the Society has been fortunate to receive this financial support, the future wellbeing of Bahamas will rely on our ongoing ability to maintain fund raising, details of which can be found elsewhere on this Web site. 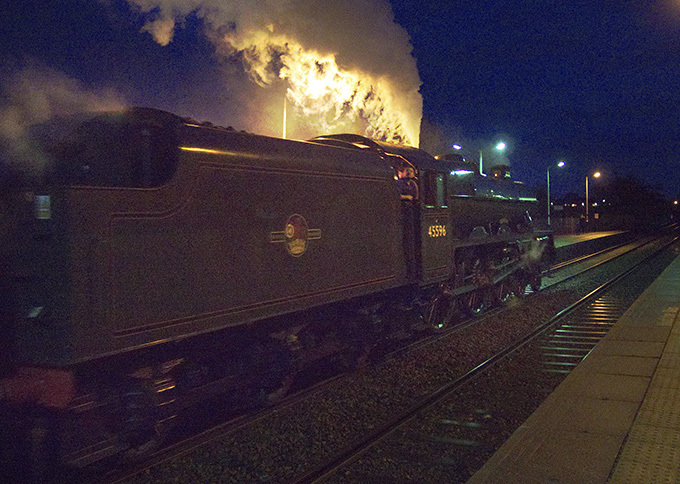 Bahamas creates the ‘light fantastic’ after leaving Hellifield bound for Keighley, 16 February 2019. 45596 Bahamas, successfully completed its first rail tour on Saturday, 9 February 2019 between Oxenehope, on the Keighley & Worth Valley Railway (KWVR), and Carlisle. 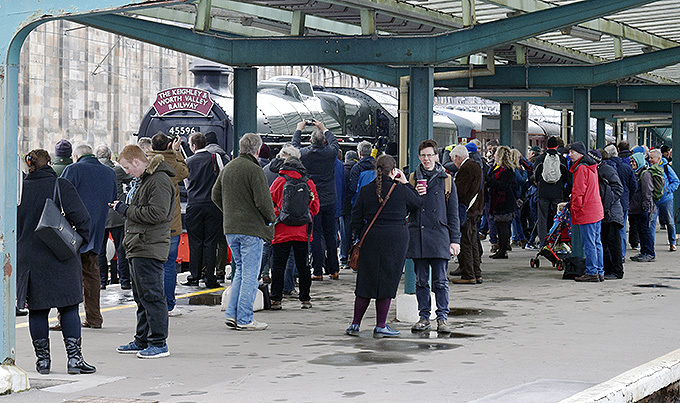 The train was organised by the KWVR, in conjunction with West Coast Railway Company. Following a long delay to leaving the surroundings of Keighley, as a result of a fallen tree caused by incessant storms occurring the previous night, the train made up all lost time and arrived in Carlisle on time. 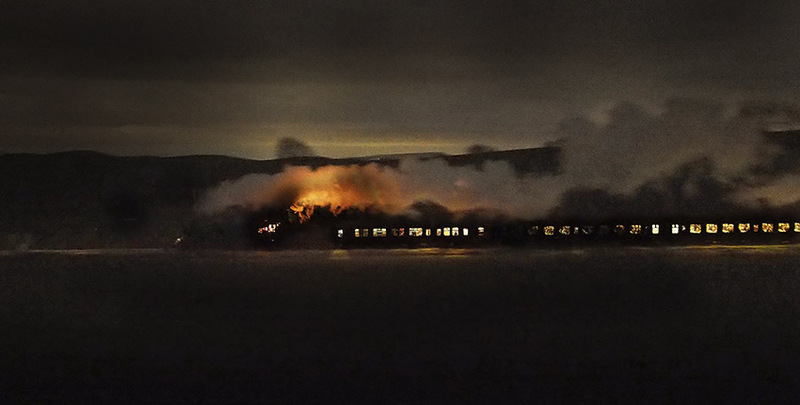 The train had sold out within days of tickets going on sale, the popularity was so great that a further train was organised to run on the following Saturday, 16 February.